doing what’s best for you. As an independent, fee-only, fiduciary wealth management firm, we have certified expertise, specialized education, and extensive experience handling the complex financial and investment issues that significant wealth can present. Recognized by the University of Florida as one of the 100 fastest growing, Gator-led companies in the world. As Certified Financial Planners, we can optimally prepare you for anything, whether it be retirement, the sale of your business, the start of a new career/venture, paying off student loans/debt, and everything in between. As professionally certified investors, of which only 4% of investors are, we possess the necessary expertise to optimally manage your investments according to what is best for you, improving your results and reducing your risk, no matter what your goals are. We work solely for you. We are a Fee-Only firm, compensated directly by our clients. No commissions. No products. No sales. Nothing influences our independence, objectivity, and loyalty to you. Wealth Management covers all aspects of your financial life, including all proactive financial planning and investment management services each year. There are no other fees of any kind, ever. Our fee schedule is linear. For example, if the total amount under management is $7 million, all $7 million is charged at .75% as opposed to progressively working through the brackets. Financial plans and financial planning may include, but is not limited to; investment planning, retirement planning, estate planning, college planning, tax planning, life insurance analysis, and debt/credit planning. Depending upon the complexity of the situation and your needs, the rate for financial planning is typically between $1,500 and $10,000. The fee is a one-time fee, paid in arrears upon completion. We care about people; after all, serving their wealth management needs is why we exist. We believe that we must act as a leader, both in our profession and within the communities that we serve, to address the unmet financial planning and investment needs of those around us. To inquire about becoming a pro bono client, please contact us at [email protected]. Our entire firm is always put to work on your behalf, providing you with our combined experience and expertise. Successfully demonstrated at least three years’ of acceptable experience in financial planning, completed 6 graduate school level courses, and passed a rigorous ten-hour exam certification exam (63% pass rate). Mrs. Chacon serves on the Board of Trustees for The Pace School for Girls, is an advisor to the Gainesville Community Foundation, and a regular instructor on financial education at Santa Fe College. Mr. Diaz is a Rotarian and alumnus of Leadership Gainesville. He also routinely mentors students while teaching them the fundamentals of finance and economics. Successfully demonstrated at least three years’ of acceptable experience in investing and passed two levels of certification exams, each with an average first-time pass rate of less than 60%. In addition, attended and completed the education program, through The Wharton School, University of Pennsylvania. Adjunct professor and regular lecturer at the University of Florida, working with the College of Pharmacy, the University Athletic Association, the College of Engineering, and the Warrington College of Business, among others. 2016 University of Florida Outstanding Young Alumni Award Winner (1 of 24 across the entire University) The award is given to those who have distinguished themselves in their profession and community, and have had a significant professional accomplishment on the State, National, or International Level. Judge for Entrepreneurial and Business competitions held at UF, and a mentor for Entrepreneurs in the community. Past President of the Board of Trustees for the Gainesville Sports Commission, an organization that brings millions in economic benefit to the Gainesville community through sports tourism. James Di Virgilio on CBS in Orlando talking about what you can do to maximize your last second tax benefits. What is a Fiduciary and Why Should it Matter to Me? Is Buying or Renting a Home a Better Investment Strategy? How bad are Wall Street forecasts? Really Bad. James Di Virgilio discusses how to select a financial advisor, whether you should choose an IRA or ROTH, and if buying or renting a home is best. James Di Virgilio sat down with ABC in Gainesville to discuss why being a Fiduciary is so important and how to select a financial advisor. Fiduciary is quite arguably the most important word in wealth management, yet few people are familiar with what it means. The word fiduciary originates from the Latin word, fidere, which means “to trust”. Fiduciary isn’t just a financial word, as it applies to any situation in which one person justifiably places confidence and trust in someone else and seeks that person’s help or advice in some matter. A Fiduciary must act in the best interests of the other person at all times. In the wealth management world, fiduciaries have a legal duty to give advice that is solely for your benefit and in your best interest. Fiduciaries must put their own personal interests completely aside, in order to remain loyal to their fiduciary duty to you. If they violate this, they can be sued for breach of duty. Because of this, Fiduciaries tend to be the most educated practitioners in financial advising, as they must have the expertise to be confident that they can legally back up their advice to you. This, in turn, leads to a better wealth management result for you. Unfortunately, less than 15% of financial advisors and advisory firms are fiduciaries, yet the majority of Americans think that ALL financial advisors are fiduciaries. Further complicating matters, in 2016, a new fiduciary rule was proposed, but never implemented, leaving many more people to believe that just about anyone in finance is a fiduciary. This misunderstanding causes many people to place their financial lives in the hands of financial advisors who put their own interests ahead of yours. These advisors are salespeople, and they are held to a suitability standard, which states that they must have reasonable grounds to believe that an investment product is merely suitable for you. This doesn’t mean that financial salespeople are bad per se, but it does mean that financial salespeople have no obligation to work in your best interest or disclose any conflicts of interest. Because of this, financial salespeople tend to be less educated than fiduciaries. This is in turn, tends to lead to a worse wealth management result for you. Selecting a fiduciary firm and advisor is not easy, because many financial advisors will incorrectly say that they are fiduciaries when they are in fact not. In order to be sure that you are selecting a fiduciary to handle your wealth, it’s helpful to look at who isn’t a fiduciary. To meet the true definition of a fiduciary, the financial advisor and the firm must be your fiduciaries at all times, for all engagements. This distinction is important, since some advisors and firms will be your fiduciary for one item of wealth management, like financial planning, but not for investment management. If this is the case, then they are not your fiduciary all the time. In general, Stockbrokers, broker-dealer representatives, insurance agents are never full-time fiduciaries. Financial Advisors and firms who are never fiduciaries all the time are listed below. This list is not exhaustive but represents the largest firms. If a firm is a brokerage or insurance company, they can never be your fiduciary. For example, if you are working with a financial advisor at Merrill Lynch or Northwestern Mutual, he/she is not your fiduciary all the time. It’s important to note that some of these brokerage firms do have separate divisions that offer Fiduciary Trust services, for example, US Trust within Bank of America. In those limited engagements, you are working with a fiduciary, but you are also working with a separate company altogether. The vast majority of clients are not in such a relationship. Finding out if smaller firms in your city are fiduciaries is a bit trickier, but here is how to do it. If it says anywhere on the website something like this, Securities offered through XYZ Securities, Inc. Member FINRA/SIPC, they can never be your fiduciary all the time. Further, firms that are fiduciaries all the time will be sure that you know it, so it will be prominently displayed on their website. So, why wouldn’t all wealth managers and financial advisors want to be fiduciaries? Simply put, it’s because they don’t want the liability. Stating that you know what is best for someone requires tremendous expertise and confidence, and you are only going to take on such a responsibility when you are sure you can deliver. Therefore, when selecting a wealth management firm, it makes sense to choose one that will take on a fiduciary responsibility for you at all times, as it will most likely improve your result. Our insights are published and featured on Investopedia. 2018 brings us new tax brackets, and thus, it’s time to revisit whether we should be using the ROTH 401k or the Traditional 401k. We have written about this subject before and as it was then, the answer remains the same, the Traditional 401k is a significantly better choice for most of us, and it could save you from running out of money during retirement. Let’s revisit with Joe and Jane, our married couple from our previous study. They file jointly and make $100k per year in taxable income. Every dollar that they make in 2018 above $77,400 is taxed at their marginal rate of 22% and their effective rate on the entire $100k is 14%. (We’ll round the numbers to keep them clean.) This difference in taxation, marginal vs. effective, is the key difference between the Roth and Traditional 401k, and it’s why the Traditional 401k is better. To illustrate how powerful this is, let’s look at an extreme example where we save for retirement only in 2018, and then upon retirement, we take out the entire balance of our retirement account. This is unfavorable for the Traditional 401k and it’s unlikely in real life, but it best illustrates the point of just how much better the Traditional 401k is. For simplicity, and because it won’t change the answer, we won’t factor in deductions, exemptions, social security, or Medicare. Here is what’s happening in the chart. Both the traditional 401k and the Roth 401k start with 10k. The traditional 401k doesn’t pay any taxes right away while the Roth does, hence the different starting values. Each account doubles every 10 years for 40 years, at which point we take out the entire balance. In the traditional 401k, we take all $160k out and pay 17% in taxes (the effective rate), or $27k, and in the Roth, we don’t pay anything. (We are using the 2018 tax bracket at our retirement date.) The result is $8k better for the Traditional than the Roth. But what if taxes are higher? Well, in the past 50 years, the lowest brackets, 10% and now 12%, have never been higher than 15%, so we will use 10% and 15% for those, and we will increase our 22% bracket to 30%, which historically, is above average and near the higher end of where that bracket has been. Now, the Traditional 401k is breaking even with the Roth 401k, but, this is an extremely unrealistic and worst case scenario for the Traditional 401k, and yet it still breaks even! In the real world, Joe and Jane will save each year for retirement, and once they retire, they will pull out only a portion of their retirement accounts each year. Using the 2018 rates for the entirety of Joe and Jane’s life, we can see what such a scenario would look like below. The Traditional 401k has an 8% advantage over the Roth 401k. If we assume that taxes go up in the future, it’s highly unlikely that the Roth would ever be the better choice, as there has only been one time in the past 40 years where Joe and Jane’s effective tax rate would have exceeded 22%, and that’s 1981! This means that even if we only made a retirement contribution in 2018, and waited 40 years to start taking it out, the odds that the Traditional 401k is better than the Roth 401k are very high. When you factor in what happens in real life, where you actually save money each year for retirement, this only increases the advantage that the Traditional 401k has, since you will get increased pretax savings at your highest marginal tax rate each year when taxes go higher, while getting to withdrawal money in retirement at your effective tax rate, which will be lower! The example below shows what would happen if taxes increase. Putting everything we have talked about together, we can run a real-world example for Joe and Jane. They will save $10k per year for 30 years, retire, and then spend $40k per year in retirement until they die 30 years later. For simplicity, we will keep the tax rates as the 2018 rates for the entire duration of the example. Here are the results. Choosing the Traditional 401k over the Roth made a significant difference, as the Roth 401k almost leaves Joe and Jane penniless!!! Let’s look at the same real-world example for a high net worth couple, Brad and Bonnie. They will save the max of $37k per year for 30 years, retire, and then spend $100k per year in retirement until they die 30 years later. For simplicity, we will keep the tax rates as the 2018 rates for the entire duration of the example. Here are the results. To conclude, making the correct decision to invest in the Traditional 401k or the Roth 401k will make a significant difference in your future net worth. Here is a simple rule of thumb to use, if you are single and have more than $40k of AGI or if you are married and have more than $80k of AGI, choose the Traditional 401k. Homes are both a good long-term investment and a good financial decision, right? Many people accept this as common knowledge. According to Gallup, residential real estate is Americans’ top choice for the best long-term investment. Further, according to the National Association of Realtors 2017 National Housing Pulse Survey, 84% of Americans believe purchasing a home is a good financial decision. Shiller’s work has found that over the past 120 years, homes have appreciated at just 0.4% per year after inflation, making it one of the worst long-term investments. As you can see in the image below, the price of a residential home, highlighted in green, was rather consistent for about 100 years, and then in the past 20 years, we had a boom, crash and current boom highlighted in red. It’s a good idea to ask why the price of a home, which is simply a combination of materials and location, shot up to such a tremendously high valuation relative to history in the early 2000s (Hint: Government home purchasing policies and easy money monetary policies, but that is a topic for another article). Even with that boom, the real returns (with costs/benefits/inflation factored in) of residential real estate are woeful (This article will not be looking at owning a home and renting it out, we will be focusing on the home you live in.). The image below shows residential real estate across the United States, from 1975 until the peak of the boom in 2006, had an average annual return of -8.7% per year.1 During just the boom years, it was a meager 3.9%. California, the best real estate market in the United States fared better, but outside the boom years, it still sported a negative real return and paled in comparison to simply investing in an S&P 500 index fund. *1975 Data began in the second quarter. Now that we know the Real Return of Residential Real Estate, we can compare it to other long-term investments. In Wharton Professor Jeremy Siegel’s book, “Stocks for the Long Run”, he calculates the real returns of a variety of assets starting in 1802. Since Residential Real Estate data doesn’t go all the way back to 1802, we will combine the data for illustrative purposes, allowing us to display the relative returns of long-term investments. The chart below should make it quite evident that investing in Residential Real Estate is quite undesirable, given our other choices. Yikes! Our dollar invested in residential real estate becomes basically nothing over time, while our dollar invested in stocks grows exponentially well. It should be clear now that residential home ownership is not a good long-term investment, especially when compared to the alternatives. What makes matters worse is most Americans are borrowing money to purchase an asset that loses them money in the long run. This is simply not a good strategy for building wealth, as it compounds your losses. So, if buying a home isn’t a good investment, is it still at least better than renting? Let’s do the math on what a lifetime of homeownership looks like compared to a lifetime of renting and find out. We will run several scenarios, with all costs and benefits factored in, to see which strategy is best. To equate buying a home to renting a home, the renter will invest in the U.S. stock market whenever the buyer places a down payment on a home that requires outside capital. This way, the “investment” in the home is equal to the investment the renter makes. We will use historical averages for all inputs and calculate the real return. A full list of assumptions can be found at the end of this article. *Data Starts in 1975. Simply an illustration of long-term investment real returns, relative to each other. As you can see, both buying and renting lose you money over your lifetime, but renting loses less in every scenario. This is due to the real return advantage that investing in stocks has over investing in a home. Thus, the down payment on a home doesn’t grow to become as much money as investing the down payment in the stock market. Visually, we can depict the difference using the bar graph below. The math certainly suggests renting a home and investing what you would have used as a down payment into stocks, is better than buying a home. Yet, buying a home is often described as a wise decision and a good investment, while renting a home is often described as foolish and throwing money away. This article shows the common “wisdom” about home ownership and renting is not right. Homes are absolutely not good long-term investments and should not be viewed as investments. Instead, homes should be viewed as use assets (like a car, but better), and if you want to buy one, be sure you want to live in the house for at least 10 years, keep the purchase price to 2.5 times your gross income and minimize the amount of debt you take on, since borrowing money to invest in an asset that loses you money is not a good long-term wealth-building strategy. If you want to maximize your future wealth, rent and invest in a portfolio of stocks. 1Richard Marston, Portfolio Design. FHFA and Federal Housing Board. Inflation Rates from IMF, International Financial Statistics. 2Jeremy Siegel, Stocks for the Long Run;” Richard Marston, Portfolio Design. According to the American Council of Life Insurers (ACLI), in 2014, 63.7% of all individual policies sold in the U.S. were whole life, compared to just 36.3% of policies being some type of term coverage. Thus, we should expect that whole life insurance is the way to go, right? It’s very easy for trusted companies to mislead naive customers, and life insurance companies are trusted. Yet, this article is going to prove that Term Life Insurance is better, in almost every situation! The Return on Investment (ROI), Internal Rate of Return (IRR), and total dollars accumulated are better than whole life insurance regardless of when you die, and during each and every time period you can think of! If you live to your life expectancy, you will have accumulated nearly 19 times more money choosing term over whole life! Despite this evidence, emotions play a significant role in insurance sales, which is why you are likely to purchase the wrong type of life insurance even after hearing what was stated above. Fancy illustrations and confusing jargon will blur your mind and raise questions about whether or not you are doing what is best for your family. Since you can’t trust the insurance companies, the purpose of this article is to equip you with concrete evidence which will give you the confidence that you need in order to make and stick with the right decision on life insurance. Before we go any further, it’s important to define the role of life insurance. Life Insurance should be used to replace economic losses, prevent estate taxes, and to a much smaller extent, protect your assets from creditors. Life Insurance is NOT an investment and it should not be used as one. Keep your investments and your life insurance separate. Combining them makes money for the insurance company, not for you! The rest of this article will tell you what type of insurance to buy and when, and then it will provide a full mathematical analysis proving why Term is better for your net worth. Now, onto the mathematical analysis that supports the preceding claims. Whole Life- Cost is $8,800 per year for your entire life, $1 million dollar death benefit. Term Life for 30 years- Cost is $750 per year until age 60, $1 million dollar death benefit. We will look at what happens if you die early at age 40, early at age 60, after your term expires at age 61, and to your full life expectancy at age 82. Spoiler alert: Term is better in every situation according to ROI, IRR, and ending dollar value. Be sure to visit the bottom of the article for the full list of assumptions used, since they contain important facts about whole life insurance “benefits” that are often misunderstood. The math is clear, Term Life Insurance is the right choice, and it’s a great choice to protect against economic loss. Now, go step confidently into your future. If you have any topics or questions that you would like to see covered in the future, write to us at [email protected]. Our insights are published, and featured on Investopedia. Account fees are a sneaky way for financial companies to make extra money from their clients. There is no need to pay an account fee or a low balance fee, as there are plenty of financial firms that are excellent and they will offer you an account, the same account as any other firm, for no charge of any kind. There is no benefit to be had by paying an account fee. Until the fee structures significantly change, there isn’t a good evidentiary reason to pay a hedge fund to do anything for you. Why? Because 98% of the profits go to the hedge funds themselves and not to the investors. 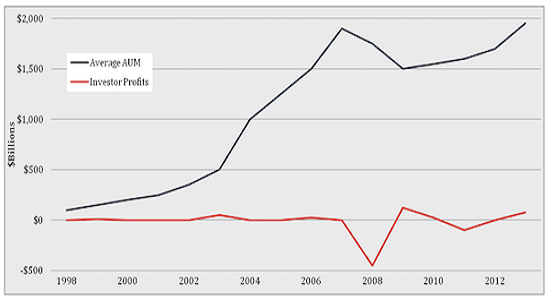 Figure 1 below shows the investor profits, after fees, from hedge funds. A case is often made that hedge funds add diversification to a portfolio, but with the significant cost that they carry, any diversification benefit is wiped out. Plus, you can achieve similar diversification benefits using different approaches that have a much lower cost. Aside from the very few providers that only charge a small fixed fee, all other variable annuity fees should not be paid. The costs far exceed any benefit that you get. In general, keeping your insurance and investments separate is a wise idea, otherwise, you will be overpaying an insurance company to invest your money for you. Don’t enter into an investment that has a surrender charge, because there isn’t a reason that is good enough to justify the fee. If you find yourself in an investment that has a surrender charge, an analysis should be done to see if it’s worth surrendering or not. A final note on fees. Simply put, with all factors being considered, a fee worth paying is a fee that improves your expected result, adds value to your life, can’t be easily replicated for a lower cost and doesn’t put a conflict of interest between you and the entity charging the fee. When examining fair fees, the lowest fee or a low fee is not always the best, as the old saying, “you get what you pay for,” can certainly hold true in the financial planning and investment world. However, there are plenty of fees that have absolutely no merit, and by avoiding them, you can ensure that you have indeed made yourself that much wealthier. There are many ways to invest, which leads to many ways to do things sub-optimally. Unfortunately, the wide-ranging studies conducted on investor behavior and performance indicate that doing things incorrectly is the norm, not the exception. The good news is, the truth is out there, and if you are willing to grab it, it will lead you down the right path. Option 1- A “conservative risk” allocation. This is portfolio is made up of 20% stocks, and 80% bonds. After running the test, on a scale of 1-100, the portfolio is assigned a “low-risk” number of 35. Option 2 – A “moderate risk” allocation. After seeing the results for option 1, Mickey decides to increase the risk by testing a portfolio that is made up of 60% stocks, and 40% bonds. (Many target date funds within 401ks will use an allocation similar to this.) After running the test, on a scale of 1-100, the portfolio is assigned a “moderate risk” number of 56. Mickey has an 84% chance of still having money at age 95, with the first possible chance to run out of money in 2042, when Mickey is 87 years old. Mickey would need at least $3,542,300 at the start of 2017 to improve his results. This allocation is certainly much better than using a portfolio comprised of mostly bonds, but is it optimal? Option 3- A “risky portfolio”. After seeing the much-improved results from option 2, Mickey decides to increase the risk even more by using a portfolio with 100% small cap stocks. After running the test, on a scale of 1-100, the portfolio is assigned a “high-risk” number of 90. Mickey has an 89% chance of still having money at age 95, but the first possible chance to run out of money is in 2030 when Mickey is just 75 years old. Mickey would need at least $4,207,500 at the start of 2017 to improve his results. This allocation ups our percentage chance of success, but our worst case scenario is the worst yet. Option 4- Lastly, Mickey decides to put Modern Portfolio Theory to the test, by building a portfolio that combines multiple asset classes with different correlations (Stocks, bonds, Natural Resources, Real Estate, Managed futures) and a fundamental valuation methodology. The portfolio is assigned a “moderate risk” score of 56, which is exactly the same as Option 2. After running the tests, Mickey can now see that his investment strategy will make a significant impact on his retirement years. In order to simplify our comparison, we can put them in all in one table. *As always, all data is used for illustrative purposes. Actual investment results will vary. Certifications should indicate a higher level of education and expertise, which should lead to better results for you. Thus, it seems to wise to look for them when hiring an advisory firm. However, there are over 160 designations, so how do you pick the right ones? In our view, there are three that make a significant difference, the Certified Financial Planner, CFP®, the Certified Investment Management Analyst, CIMA®, and the Chartered Financial Analyst, CFA®. A Certified Financial Planner (CFP) has to complete 18 to 24 months of study, pass a rigorous ten-hour exam (63% pass rate), and work for three years as a financial planner before earning the designation. A Charted Financial Analyst (CFA) has to sequentially pass three six-hour exams that are widely considered to be among the most challenging in the investment profession, adhere to the CFA Institute Code of Ethics and Standards of Professional Conduct, and have at least four years of work experience in an investment decision-making role. Since the first CFA exam was given in 1963, the combined global pass rate for all three levels of the exams is 52 percent. The Certified Investment Management Analyst (CIMA) designation is awarded by the Investment Management Consultants Association to individuals who successfully complete a year-long program focusing on investment policy, asset allocation, manager search and selection, ethics, and performance measurement. To earn the CIMA designation, individuals must have three years of experience in investment consulting, pass a Level I entry exam (61% pass rate), pass Level II exam after attending a week-long classroom program at Wharton, MIT, or Chicago, and then pass a Level III certification exam (63% pass rate). The bottom line is, If you want a firm to do both financial planning and investment management for you, ensure that their planner is a CFP®, and that their investors are either a CIMA® or CFA®. Otherwise, you could be trusting someone with lots of letters after their name that don’t mean much. For more on the subject, below is an excerpt from “Advisor Designations, What does Certified really mean?”, written by CNBC’s Deborah Nason. Professional designations abound, and clients have come to expect to see them listed after a financial advisor’s name. But are they meaningful? The website of the Financial Industry Regulatory Authority features a database of more than 160 such designations, with a separate web page highlighting the few that are nationally accredited by either the American National Standards Institute or the National Commission for Certifying Agencies. So what exactly does “certified” mean? And if a designation is not certified nationally, can it still be trustworthy? “It’s important to understand that a certification is different than a designation,” said Sean Walters, executive director and CEO of IMCA, which offers the Certified Investment Management Analyst, or CIMA, certification. The mark, inaugurated in 1988, is held by about 8,000 certificants. There are many ways to invest, which leads to many ways to do things incorrectly. Unfortunately, the wide ranging studies done on investor behavior and performance indicate that doing things incorrectly is the norm, not the exception. The good news is, the truth is out there, hiding in plain in sight, and if you are willing to grab it, it will lead you down the right path. Option 2- After seeing the results for option 1, Grace decides to increase her return by using a portfolio with a 90% US Stock (S&P500), and 10% US Bond allocation (Barclays Agg). Like option 1, this is also a very common portfolio, except this one falls into the “aggressive category”, with a risk score of 73. (Thus, we expect more risk, and more standard deviation. A risk score near 100 would be a 100% Natural Resources Portfolio, or 1 individual stock, or anything with a very large variance) Grace will need $1,234,600 upon starting retirement. Since we increased our expected return, we can see that we get a much better result, with a 92% chance that we have money leftover at age 95. (We can also see that have we have a much larger range of values, which you can see shaded in blue.) The first time that Grace could run out of money is in 2078 when she would be 86. The portfolio is assigned a risk score of 56, which is exactly the same as Option 1. However, the results are quite different. Grace will only need $1,108,200 at retirement and she now has a 92% chance that she will have money leftover at age 95. (instead of 52%) The first possible time that Grace could run out of money is in 2082 when she would be 90. It’s clear that Grace’s expected return has gone up and that her standard deviation, or risk, has gone down. Thus, her portfolio is behaving like a 73 for returns, and a 56 for risk. After running the tests, Grace can now see that her investment strategy will make a significant impact on her future. *All data is used for illustrative purposes only. Actual investment results will vary. Whenever we have a chance to help build the entrepreneurial companies of tomorrow, we enthusiastically raise our hand to serve. So when the University of Florida asked us to judge their “What’s Your Big Idea” Competition, which is essentially just like the TV show Shark Tank, we gladly accepted. We joined several other judges formed from entrepreneurs around the country as we sat on a panel that decided the fate of the competitors. Over 150 business plans entered, all competing for the top prize of $25k. Our task was to evaluate the feasibility of the plans, analyze the financial structures, and decide if the ideas and companies were good investments. As the competition drew to a close, we had listened to a wide range of ideas on how to improve the world around us, from creating educational computer games that kids actually enjoy playing, to revolutionary new stem cell treatments that will reduce healing time in horses and animals by half. While there could be only be one winner, it was exciting to see so many aspiring entrepreneurs pitching their ideas and following their dreams. At Chacon Diaz & Di Virgilio, we believe in the power of pioneering new paths, and we believe in entrepreneurship, as it is the catalyst for great discovery which ultimately leads to drastic life improvements. This weekend, there was an article written in the USA today that discussed the extremely poor performance of Wall Street Analysts. This is of no surprise to us, as we don’t believe that market timing or forecasting can be done accurately in the short term, and there is a plethora of evidence to support our stance. Now, this doesn’t mean that successful investing is random, or lucky, but rather that attempting to invest based upon short term predictions is unwise and unprofitable over the long term. To read the article from the USA Today, click here. We are honored to be named as one of the 100 fastest growing University of Florida led companies in the world, affectionately known as the Gator 100. In 2009, we built Chacon Diaz & Di Virgilio from scratch with a vision to be a fiduciary fee-only wealth management firm that gave expert advice that was always in our clients’ best interest. Today, it’s an honor to be recognized as a leader and pioneer in our field, as we continue to positively impact the lives of our esteemed clients. To read more about the Gator 100, click here. 1.) Save at least 10% of your gross income in retirement accounts. If you are retired, spend no more than 4% of your total portfolio value. 2.) Utilize the proper retirement accounts given your situation, as this will allow you the best tax and investment advantage. Generally speaking, if you make more than $35k but less than $500k, choose to invest in the Traditional 401k or IRA, otherwise, choose the Roth. If you are an employee of a private company that offers a 401k, save in your company plan. If you work for a public entity, save in a 403b, but also check to see if you can contribute to a 457, which will allow you to contribute an additional $18k in 2015. If you are an independent contractor, or 1099 employee, you have several options, but generally, an Individual 401k will be best. In all of the above cases, if you are over 50 years of age, you can contribute an additional $6k in 2015, giving you a max of $24k. If you are retired, spend from the correct retirement accounts. How you are taxed on your retirement income will make a significant difference during your lifetime. Generally speaking, take income from your ROTH accounts first, then your taxable accounts, then your IRAs. 3.) View all of your assets as one portfolio, and then invest them in multiple asset classes, whether you are retired or still working. Modern Portfolio theory, first created at the University of Chicago, and extensively refined over the past 60 years, provides the fundamental basis for creating a sound portfolio, and a sound portfolio will maximize your wealth. Diversify globally and have a variety of asset classes, including Real Estate and Natural Resources. *This advice does not apply to short term investing goals. 4.) Be careful purchasing a home, as homes are not good long term investments. As a whole, residential real estate has averaged a 0.4% return per year over the past 100 years when you account for inflation. Generally speaking, the less house you the buy, the more money you have to invest in assets that produce a better long term return. If you are retired, downsizing is an excellent way to increase your liquid portfolio value, thus increasing the amount you can safely withdrawal each year. 5.) Create a Will and a Living Will. If you already have one, make sure it’s been updated recently. Also, update the beneficiaries on all of your accounts. 6.) Stay away from whole life insurance and variable annuities. Unless you have more than the estate tax exclusion amount, $5.43 million per person, $10.86 million per couple, whole life insurance is generally not worth the money. Insurance and investments are best kept separately, so use term insurance to cover any gaps that you might have, and then use the premium savings to invest in your portfolio. If you are retired and you have whole life insurance or variable annuities, carefully analyze them to ensure that they will provide what you need, without carrying a high annual cost. While there are lots of good questions to ask an advisor or investment professional, there is one question that must be asked first, as all other questions should be based on the answer to this one question. If the answer is yes, then you are most likely in good hands. You are also part of an exclusive group, as only 15% of financial professionals are fiduciaries. For most of you though, the answer your advisor, broker, or financial planner will give is you no, so proceed at your own risk. (Our advice would be not to proceed at all.) You see, advisors who act as your fiduciary take on one of the most important duties under the law, which is to act in your best interest at all times. In other words, advisors who work as your Fiduciary have a duty to act as you would for yourself, if you were an expert in the field of finance. All of the advice they give and conversations that they have with you are governed by this duty. Advisors who are willing to accept such a duty essentially become your financial guardian, taking on all of the responsibility for your financial well being. All other advisors, brokers, investors, and financial planners that are not fiduciaries, don’t legally have to do what’s in your best interest. Instead, their job is offer you financial products and services, forcing you to make the final decisions so that they don’t have to be legally held accountable for their advice. (This is known as the suitability standard.) We don’t know about you, but that is not the type of advisor that we would want to entrust our financial lives to. One of the first questions many people ask us is, when should I start taking my Social Security Benefits? In general, if you are in good health, it’s probably best to wait as long as you can to take your benefits (but no later than age 70). However, there isn’t one simple formula that works for everyone, so the correct answer can only be found by analyzing your individual circumstances. For example, here are the first few questions that you will want to ask yourself. Are you in good health? Is your spouse in good health? Are your parents in good health? How long are you likely to live?? How much have you saved for retirement? How much money will you live on in retirement? Can you afford to wait for a few years in order to claim higher benefits? Once you have answered those questions, you can begin to explore which strategy is best for you. The following article is an excellent starting point, as it explains the specific choices available to you from Social Security, while also providing some tips for maximizing your benefit. Just keep in mind that how you answer the question of when to start taking Social Security benefits will affect the quality of your retirement years and your net worth. If you don’t feel confident in answering this question alone, we would advise that you seek out a Certified Financial Planner (CFP®) to assist you. We came across this excellent article written by the Motley Fool we and wanted to share it with you. It correctly reminds investors that while you can control the process, you can’t control the outcome, so make sure that your investment process is steeped in wisdom. Meet the world’s luckiest investor. His name is Richard. You’ve probably never heard of him. Richard has compounded money at 24.55% annualized for the last 30 years, compared to 9.4% for the S&P 500 (SNPINDEX: ^GSPC ) . That difference is staggering. One dollar invested with Richard 30 years ago would be worth $712 today, versus $15.30 if you invested in the S&P 500. He’s only had three down years. Richard has actually outperformed Warren Buffett’s Berkshire Hathaway over the past three decades. Why have you never heard of Richard? Well, his name isn’t actually Richard. As far as I know, at least. Let me reiterate: Richard’s results are achieved from sheer randomness, the equivalent of throwing darts at a board, or pulling bingo balls out of a cage. Richard is alive because of a simple law of probability: If you conduct enough experiments, you’ll get a few crazy results, thanks to pure randomness. I named our hypothetical world’s luckiest investor after Richard Lustig, the real-life man who has won the lottery seven times. There are millions of investors in the world. Many of them are actively trading in and out of stocks, picking what they think are the best investments. With that many investors, we are virtually guaranteed that a few of them — but just a few — will be hugely successful over time due to nothing more than random chance. Richard almost certainly exists somewhere. Some of the world’s most successful investors are actually just some of the world’s luckiest investors. I don’t know what Richard’s real name is. Maybe it’s George Soros, or Peter Lynch, or John Paulson, or David Tepper. We’ll never know for sure. What do you do in this situation? How do you know which investor to follow, to idolize, to learn from, in a world where it’s hard to tell who has been successful and who has been lucky? Outcome is simply the final score: Who won the game; what numbers came up in a roll of the dice; how high did a stock go. Outcome is the result, regardless of the method used to achieve it. It is not controllable. You can blow on the dice all you want, but whether they come up “seven” is still a function of random luck. Buffett made this point decades ago in a speech called, “The Superinvestors of Graham and Doddsville.” Say we set up a national coin-flipping contest. By sheer chance, more than 200 people in the country will correctly call 20 coin flips in a row. Even if the coin flips were done by orangutans, Buffett pointed out, this is what you’d expect. I think you will find that a disproportionate number of successful coin-flippers in the investment world came from a very small intellectual village that could be called Graham-and-Doddsville. A concentration of winners that simply cannot be explained by chance can be traced to this particular intellectual village. That intellectual village was value investing, influenced by Ben Graham and David Dodd. What made value investors legitimate success stories was not just their superior returns. It was their rational process of buying companies with high returns on capital for less than liquidation value and holding them for longer than most investors were willing to. Your definition of a rational investment process may be different than mine. But when I hear of investors successfully predicting a market crash by overlaying a chart from the 1920s, or day trading penny stocks, or using a protractor on a candlestick stock chart, I get suspicious. When you find yourself asking, “How can they make that much money doing that?,” remember Richard. Not realizing the difference between luck and skill puts you on a road to ruin. When returns are the result of luck, the person who earned them is going to assume whatever absurd technique he or she used is pure skill, and is likely to keep using that technique with a false sense of confidence. That’s dangerous, because luck quickly reverts to the mean — if I kept my Excel model running long enough, Richard will eventually come crashing back to Earth. That’s why process matters so much more than outcome. Investors shouldn’t just focus on returns. What you want is a rational process that offers the highest chances of success over long periods of time without relying on luck. Earning a lower return than your lucky friend Richard shouldn’t bother you if he’s flipping a coin or day trading penny stocks. Your rational investing process is far more likely to win out in the long run. A conversation about portfolio construction begins with investment methodology. Sound methodology should be based upon historical and statistical investment facts that are timeless. Everything that is included in a portfolio should be there for a specific and merited reason. Here’s how to properly construct a long-term growth portfolio. 1.) Start with an equity bias. Simply stated, because of the long term return potential, the portfolio needs to have more equity investments than debt investments. The chart below displays the stark difference between the long-term performance of equities (blue and red lines) and debt (gold and silver lines). 2.) Diversify into multiple asset classes. Diversification reduces risk and increases return, therefore increasing risk adjusted return. The chart below shows 20 years of asset class performance. Follow the orange Foreign Stocks box, located at the bottom left corner, through the 20 year period. The performance tends to be either at the top of the chart or the bottom, which indicates that the asset class is volatile. The point of diversifying is to reduce the volatility of an individual asset class by combing it with other classes. The white box entitled “diversified portfolio” demonstrates a smooth and upward trend line that is the hallmark of a consistent portfolio. 3.) Know that Correlations are why Multiple Asset Class Diversification Works. Using the guidelines discussed above, build a portfolio. Below is a sample, notice that it has an equity bias, as roughly 80% of the portfolio is invested in equities. It’s also properly diversified and built with respect to asset correlations, as there are 6 asset classes represented, including Natural Resources, Real Estate, and Bonds. 5.) Maintain and rebalance the portfolio. Portfolios that are left alone will change their character as time goes on, fundamentally changing the makeup of the portfolio and increasing the risk. In order to prevent this from happening, make sure that original portfolio’s allocation (as seen in the chart above) stays the same from year to year. *The portfolio performance shown is hypothetical and for illustrative purposes only. One of the biggest differences between individual investors and professional portfolio managers is how they view performance. Individual Investors tend to overvalue short term performance, placing too much emphasis on 1, 3, and 5 year returns. While professional portfolio managers place most of their analysis on 7-10 year periods, since they coincide with a full market cycle. This is a marked difference, and it can greatly change long term results. To view how significant the differences can be, let’s take a look at the past 20 years of performance. We will start by looking at a diversification chart, which shows how various asset classes have performed. (The S&P 500 is represented by the category Large-Cap Growth.) Notice that over the short term, during 1995-1999, the Large-Cap Growth category grew 37.18%, 23.12%, 30.49%, 38.71%, and 33.16% per year. Monetarily, if you had invested $100k in 1995 by the end of 1999 you would have had $407,078! Many Individual Investors reaped such rewards, and in 1999 they focused on the previous 1, 3, and 5 year time periods, making their performance look stellar, which enhanced their investing conviction and increased their expectation of their future results. However, the years ahead, 2000-2002, proved to be quite a different story. The $407k that was earned during the previous 5 years would lose $226k during the next three years to become just $181K by the end of 2002. While this is just one simple example, you can run such analyses over many 3 to 5 year periods which will yield similar results. What this tells us is that paying too much attention to short term performance can skew your long term investment strategy, which can lead individual investors to overvalue “trendy” asset classes therefore increasing their risk and reducing their return. Let’s dig a bit deeper into the 1995 to 2002 story to see how choosing a proper time period for performance evaluation can influence results. Sources: Invesco, Bloomberg L.P., and Lipper Inc.
Below is a chart of the tremendous short term performance of the S&P 500 during the 1995-1999. The blue is the S&P 500 and the red line is a multiple asset class portfolio consisting of US and foreign equity, US and foreign bonds, commodities, real estate, precious metals, and natural resources. As you can see, the S&P outperforms the globally diversified portfolio 241.61% to 86.66%, leading to many to claim in 1999 that diversification was no longer necessary. (This same claim is being made today, amidst similar short term market conditions.) However, long term investing is not a 5 year story, so let’s look at how the two investing styles fared when we add a few more years of data. During 2000-2002 the S&P lost -37.16% while the globally diversified multiple asset class portfolio actually grew 15.10%. Maybe asset class diversification isn’t dead after all. Let’s put all the data points together and see what we get. Over the entire time period, from 1995 to 2002, the globally diversified portfolio outperformed the S&P 500 107.66% to 86.12% Further, the globally diversified portfolio accomplished this using much less risk and with much less volatility. As you can see, the performance of a portfolio can significantly change when viewed over the proper time period. When individual investors focus on 1, 3, and 5 year time periods, they are prone to basing decisions off of incomplete data. To further illustrate this point, let’s look at how the S&P 500 would have fared against a globally diversified multiple asset class portfolio from 1995 until today. The data below teaches us an important lesson. The diversified portfolio returned 578.69% (with much less risk and volatility) while the S&P 500 returned 343.08%. But like today, many investors during the bull markets of 1995-1999 lost their way, and traded in prudent long term strategy for short term mania. This caused many individual investors to take on excess risk while simultaneously suffering long term under-performance. What’s most fascinating is that you can repeat this study, using just about any set of 15 year data, and the results will look very similar. To us, this evidence showcases the wisdom of globally diversified investing, and it’s what makes the mindset of the professional portfolio manager much different than that of the individual investor. It’s this mindset that ultimately leads to the success of the long term approach, even in the face of short term uncertainties. So the next time you are tempted to analyze your investment strategy using a 1, 3, or 5 year approach, be sure that you put those results in their proper context before making any long term strategic decisions. Far too often our initial consultations with clients reveal that they are lacking adequate asset protection. From mistakes as simple as carrying too little car insurance, to more complex ones like not utilizing asset protection trusts, safeguarding your assets is a vital part of optimal wealth management. While many people think that asset protection is only for the extremely wealthy, this is simply not the case. In fact, if you have a household income above $100k and you have a net worth of $500k (excluding your 401k assets, but including the equity in your home), it’s time for you to consider protecting your assets intelligently. Prudent asset protection creates a series of layers for creditors to go through, so that if you do get sued, creditors are most likely going to settle for an amount that is covered by insurance, instead of chasing after your personal assets. An asset protection plan begins with the state you live in, since each state has its own laws with regards to what is protected. For example, Florida and Texas both have homestead laws that exclude your primary residence from a lawsuit. From there, federal law provides some protection for qualified retirement assets, like 401ks. Beyond that, it’s generally up to you to place the remaining layers to protect your assets. In this article, we are going to focus on the first two layers, auto insurance, and umbrella insurance. (Most people have the proper amount of Home Insurance, so we will leave that out of our discussion.) Let’s start with the first, auto insurance. For most people outside of highly litigious professions, auto accidents are the most threatening events to accumulated wealth. A lawsuit resulting from an auto accident can quickly send creditors chasing after your money. Carry the proper amount of Bodily Injury and Uninsured Motorist insurance. Enough to cover your non federal (401k) and non state protected assets. For example, if you live in Florida and have taxable accounts worth $200k, and a salary of $100k, you have $300k of assets that need protecting. In order to provide protection, you would need to purchase a $100/300k bodily injury policy. If you have unprotected assets north of $300k, a $250/500k bodily injury policy is needed. As a best practice, set your uninsured motorist limits equal to your bodily injury limits. Stepping up your protection from a 100/300k policy to a 250/500k policy generally results in only an 8-12% increase in annual premium. What if I have more than 500k in unprotected assets? Then auto insurance won’t adequately protect you because it caps out at $500k of protection. But don’t worry; this is where the second layer of protection, umbrella insurance, comes in. Umbrella Insurance is simply additional coverage above any regular home, auto/motorcycle, and boat coverage. It is named “umbrella” because it sits on top of your other insurances and covers liability claims from all the policies underneath it. Umbrella Insurance will pay for medical, court, or other expenses that may be required after your basic home, auto, and boat policies stop. Coverage levels start at $1 million and can run beyond $10 million, depending on your needs. No, it’s actually very affordable. You can generally obtain $1 million of umbrella coverage for as little as $200-300 annually in premiums. Carrying the proper levels of auto insurance and umbrella insurance will keep your assets properly protected, allowing you to focus your energies on more exciting endeavors. Owning a home was once touted as a significant piece of the American Dream. Home ownership had meant that you had arrived, that you were successful. However, owning a home has never been a great investment. In fact, quite the opposite is true. The chart above shows how home values have fluctuated over the last 100 years. Aside from the Great Depression and the most recent financial crisis, home values generally remained quite steady, hovering around the 100 mark on the index. This tells us that residential homes don’t really appreciate or depreciate on their own. Instead, their value is mainly changed by inflation, deflation, and governmental influence in the housing sector. Over the past 100 years, residential homes have provided a return of just 0.4% per year, making them just about the worst investment you could make. (Simply purchasing CD’s at a local bank would have yielded a better return.) Of course, there are exceptions to the rule. Certain locations, like waterfront property, have most certainly provided their owners with an excellent investment. But on most occasions, your home shouldn’t be viewed as investment, but as a personal use asset that will hopefully hold its value in the long run. The take home point is this, financially speaking, you will accrue more wealth during your lifetime if you invest less in a home and more in other assets. Education planning is one the most important things that a parent can do for a child. There are many options available, so choosing the right one can be challenging. The following information is an overview of the type of accounts available and their pros and cons. This is one of the most popular options for college saving as you get a tax-advantaged account with high annual contribution limits to save in. 529 plans are offered state by state and plans can differ depending on the state. However, you don’t have to live in the state that you open a 529 plan in. For example, you can live in Florida and have a Massachusetts 529 plan. When selecting a plan, you will want to research the differences between each state as the benefits can differ with regard to state taxes and performance. You can save up $26,000 per couple. The contributions are gift-tax free. Lump sum of $65k can be contributed as long as it is pro-rated over a five-year period. If you used for education, the withdrawals are federal income tax free. The account can be reassigned to another beneficiary. There is no income phase out limit. The account belongs to the owner, which is beneficial for both obtaining student financial aid and retaining control of the account while the student is in college. If the funds aren’t used for a post-secondary educational purpose then withdrawals are assessed a 10% penalty and will be taxed as ordinary income. The states select the investment menu and at this point, the choices are inadequate, making it difficult (if not impossible) to construct an optimal long term portfolio. This can result in an account that will be tens of thousands of dollars less then it could have been, which could make the difference between fully funding college or not. This type of account has generally been phased out as a result of the emergence of the 529 plans. The $2000 contribution limit is typically too low to build a nest egg that will satisfy educational expense needs. It maintains a tax deferred status. Withdrawals are federal income tax-free. Owner maintains control of the account. A full menu of investment choices is available, allowing the owner to construct an optimal long term portfolio. The maximum amount that can be contributed is $2000. That is a tax-deferred amount, but it’s hardly enough to fund the expenses of a 4 year college. If the funds aren’t used for an educational purpose then withdrawals are assessed a 10% penalty and will be taxed as ordinary income. There are income phase out limits which prevent you from contributing. (AGI = $90k for single and $190k for married filing jointly). Although this type of account is available, it is generally used for a wider array of options than just education planning. There are no limits to contribution amounts. There is a small tax benefit. i.e. the first $950.00 gain is not taxed if the child is under 19. The next $950 is taxed at the child’s income tax rate. Thereafter the taxes are the same as the parent/owner of the account. The contributions are an irrevocable gift to the minor. Hence the assets belong to the minor, which carries tax consequences for them. The owner will give up control of the account once the minor turns 18 or 21, depending on the state. If the child is not in good standing at this time, a financial disaster can result. It negatively affects the student’s eligibility for financial aid. This account is generally setup for the retirement of the minor. It does allow for early withdrawals if the funds are used for education. The guardian can establish the account and maintain control of it until the account’s termination age (typically 18 years of age). If it is a Custodial IRA, then the contributions are tax deductible to the child. If it is a Custodial Roth, then after dollars are used to fund the account and qualified withdrawals are entirely tax free. In order to contribute to the account, the child has to have earned income. That means that the max that can be contributed is the earned income amount or $5000, (for 2012) whichever is lower. Tax deduction is at the child tax rate which is typically low; hence it generally makes more sense to use the Custodial Roth. The assets belong to the child at age 18. This generally holds the same advantages as the custodial IRA while offering more flexibility since control of the account remains with the parents. There are tax advantages to both the Roth and IRA that can be used to the owner’s benefit. A taxable account that allows provides a full investment menu and provides rules for governing how the money is invested and dispensed. Trusts are more expensive to setup than the other types of college savings accounts. A trust can be tailored to control the distribution of the assets which can help to prevent the student from wasting their college savings. There is no contribution limit. Depending on how the trust is structured, there can be a tax benefit to the owner of the trust. Further, the dispensed trust income is generally taxed at the beneficiaries’ income rate, which is normally lower than the owner of the Trust. Trusts excel when you are looking to save a lot of money (excess of $100k) for college for multiple children/ beneficiaries. It can be expensive to create a trust and choosing the right type of trust can be tricky. A trust may or may not be tax advantageous to the owner, the beneficiary, or both. These plans are offered by some states and allow you to lock in tuition rates for future college students. You pay monthly dues over a fixed period of time before your child goes to college. Tuition rates are locked-in at current rates, so you can potentially avoid paying for the increase in tuition costs. “Guarantees” have been broken before (See South Carolina’s plan and Alabama’s plan) as a result of not of the state failing to have the funds available. So, you might not wind up getting the benefit you paid for. In some states, an extra mandatory fee has been added. Prices will now reflect the cost of base tuition, “differential” tuition and mandatory local fees, all in one plan. Previously, four-year university plan buyers could pick up a prepaid plan that covered only base tuition and then could choose to buy or ignore optional plans for differential tuition and local fees. It depends on what you need the account to do. The 529 plans have a nearly ideal setup, as they were created to be the college savings plan, however they fall short when it comes to investment choice and flexibility, since the investment choices are limited and the money can only be used to fund educational expenses. IRAs and Roths provide similar advantages to 529s, but have much lower contribution limits and are subject to income phase outs, making this a less attractive option for high earners. Plus, timing your distributions from your IRA during college years can be tricky, as a special educational exemption must be used for the withdrawn funds. However, an IRA or ROTH does provide a full range of investment choices and you don’t have to use the money for only educational expenses. Finally, trust accounts may not provide tax deferral, but when properly structured, they can provide just about everything else. When it comes to college planning, choosing the right account type can help maximize both your student’s and your own financial situation. These decisions can be made without the help of an expert, but if you are unsure as to which account to fund, we advise that you seek outside counsel to ensure that you make the best decision. Roth 401k or Traditional 401k? It’s a simple question that when answered correctly, has the potential to add hundreds of thousands of dollars to your net worth during your lifetime. Unfortunately, many people arrive at the wrong conclusion, but it’s not for lack of research or advice. Conventional wisdom from financial pundits and the internet often tout the Roth 401k as the better choice, suggesting that you will end up with more after tax dollars during retirement. However, in almost every case, the opposite is true, making the regular 401k the right choice for just about everyone. Let’s take a look at the main reason why. While there are several factors to be considered when comparing a Roth 401k to a regular 401k, none are more compelling than taxation. Understanding how the United States’ progressive tax structure applies to 401ks is the cornerstone of any retirement analysis. Let’s begin with discussing the important difference between marginal and effective tax. Joe and Jane are married, filing jointly, and make 100k per year in taxable income. Every dollar they make above $70,700 (2012 tax year) is taxed at their marginal rate of 25%. However, their effective tax rate on the entire $100,000 is just 17.06%. This difference in taxation is revealing, as it tells us that the last dollar made is taxed the most. The table below illustrates the power of this concept as it shows the differences between the regular 401k and the Roth 401k. Assuming that Joe and Jane take $100k a year from their portfolio in retirement, they will be better off using the regular 401k by 7.94%. That gap is so large, that unless Joe and Jane take almost $300,000 in annual retirement income, their effective tax rate will still be below 25%. Since most people don’t even need to replace 100% of their income in retirement ($100k in our example), increasing retirement income from 100k to 300k is extremely unlikely. What does all this mean? Whenever the marginal tax rate applied to contributions while working will be higher than the effective tax rate on withdrawals during retirement, a regular 401k will outperform a Roth 401k. For just about everyone, this will be the case, making the regular 401k the best choice. However, there are a few exceptions where the Roth 401k is best. If you are routinely making over $470k per year and expect to live off of a similar income in retirement, a Roth 401k begins to make sense. This is because marginal and effective tax rates begin to converge as your progress deeper into the top tax bracket, meaning that even a slight increase in the top marginal tax rate during retirement has a profoundly negative effect on you. It can be better to lock in your current marginal rate, which is historically low, rather than risk an increase. Generally, teenagers and college graduates fit this category, but if your marginal tax rate is 10% or lower, a Roth 401k is the ideal choice. While an entire article could be written about what could happen to future tax policy, this one will just touch on the most important takeaway. Almost all possible changes in tax structure would favor the regular 401k, and not the Roth, making the regular 401k a choice that has much less downside tax risk. The Roth 401k has many advantages for the small segment of very wealthy taxpayers to which it mostly applies. Roth 401k structures also have many advantages not considered in this article, when used for purposes other than providing retirement income—such as estate planning or obtaining early access to funds. Aside from those considerations, a regular 401k is most certainly the best choice and will provide a significant boost to net worth and after tax retirement income when compared to the Roth. Further, if you are subject to a state income tax, the regular 401k becomes even that much more attractive. So remember, when faced with the decision of Roth 401k or regular 401k, it’s almost always best to choose the regular 401k. In our practice, we frequently get the opportunity to provide pro bono advice to graduate students who have accumulated a significant amount of student loan debt. The facts are staggering…2/3 of all college students graduate with student loan debt and this year the total amount of outstanding loans will surpass $1 trillion. If graduates don’t have a debt reduction strategy in place, they could end up costing themselves thousands of dollars in interest. But there is no reason to fear, as reducing debt is not as difficult as it may seem. Here are a few tips that will help you prioritize your debt reduction strategy. 1.) Whether your student loans are federal (subsidized or unsubsidized) or private, pay off the highest interest rate loans first. Interest is not your friend, so the higher the rate, the more it’s going to cost you to pay off. 2.) Pay off your loans in 10 years or less. Increasing your loan repayment period greatly increases your total borrowing cost. A jump from 10 years to 15 years increases your interest cost by 57%…Pushing it to 20 years results in a 118% increase. For example, if you borrowed $20,000 at 6.8% interest and paid it off in ten years, you would pay $7,619 in interest. If you paid it back in 20 years, you would pay $16,639 in interest, or $9,020 more. 3.) Explore other repayment options. With federal loans, there are multiple ways to repay and you can even have your outstanding loan amount forgiven. Generally speaking, make sure that you aren’t increasing your long term interest expense when choosing a repayment option. If you work for the government or have a very low income, be sure to check with your federal loan provider to see if you qualify for loan forgiveness. For more information on student loan repayment, pro bono services, or our firm, please contact us at [email protected]. Keeping your beneficiaries up to date on your IRAs, 401ks, Insurance Plans, etc., sounds simple, but it’s often the most over looked aspect of estate planning. Generally, significant life changes can create a season of busyness, and updating who or whom your assets will pass on to can slip by the wayside, creating unintended consequences. For example, let’s say that when you were single you had listed a sibling as a beneficiary on your 401k. You have since married and written a will with your spouse as the sole beneficiary of your estate. However, your 401k beneficiary remains your sibling, meaning that upon your passing, your 401k will go to your sibling and not your spouse! Even though your spouse is listed as your sole beneficiary in your will, beneficiaries on IRAs, 401ks, and Insurance plans supersede your will. A quick review of your beneficiary designations can prevent situations like the one above from occurring. Make sure that your beneficiaries’ information is current, including their name, social security number, and address. It’s also a good idea to name contingent beneficiaries in the rare event that there aren’t any surviving primary beneficiaries. While most of us naturally shy away from discussing death, it’s important for you and your family to have peace of mind with regards to your estate planning. By spending a little time keeping your beneficiary designations up to date, you can rest assured that your family will be properly taken care of. Congratulations to former Chacon Diaz & Di Virgilio intern, and current Florida Gator softball player, Michelle Moultrie on her outstanding performance in the Women’s College World Series. Moultrie batted .542 and led the tournament in hits, doubles, homeruns, total bases, and stolen bases. Her season batting average of .443 shattered the school record of .407. Michelle will return for her senior season as the Gators attempt to win their first National Title. Let’s Go Michelle and Let’s Go Gators!!!! Click here for more info on Michelle. Opening a 401k or 403b is easy enough, but optimally managing it can be quite difficult. Use these strategies to help ensure that your 401k or 403b is being maximally employed. 1.) If your company has a match, defer enough salary to reach the full match. This sounds overly simple, but far too often “free” money is left on the table from under contributing. If you start your 401k or 403b plan in the middle of year, you can still get the full match by contributing the correct amount. 2.) Just because you can defer more money than the match doesn’t mean that you should. In most cases, the next $5,000 ($6,000 if you are 50+) of retirement savings above the match should be placed into a Roth or IRA instead of your 401k or 403b. Roth’s and IRA’s offer you unlimited investment choices, allowing you to create a better portfolio. 3.) If you are maxing out your Roth or IRA, further fund your 401k or 403b. You can save up to $16,500 ($21,500 if you are 50+) a year in a 401k or 403b. If you are able to save extra dollars, defer up to the max on your 401k or 403b. 4.) Globally diversify your investments. Many 401ks and 403bs offer limited investment choices, so creating an optimal portfolio is difficult. However, it’s important that you construct the best portfolio from the choices given. At the very least, ensure that your portfolio is spread out amongst multiple asset classes and keep your company stock investments to 10% or less of your total portfolio. 5.) Rebalance your portfolio annually. Once you have created your investment allocation, most 401ks and 403bs allow you to setup automatic rebalancing. This will ensure that your portfolio stays within your target asset allocation, helping to reduce unwanted changes in your portfolio. No matter where you are located, you will receive a prompt and personal response, as we take care of clients from all over the United States.